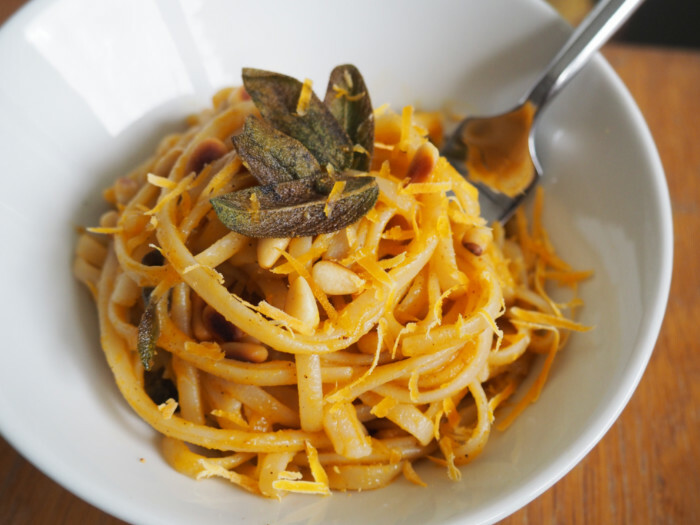 Pumpkin Pasta with Crispy Fried Sage and Pine Nuts + Giveaway! I really got into the fall spirit this year! I carved pumpkins with my little “niece” (my best friend’s daughter), decorated my apartment for both Halloween AND fall even though no one came over to see it, and used pumpkin puree quite liberally in the kitchen. This recipe for Pumpkin Pasta with Crispy Fried Sage and Pine Nuts is a result of my pumpkin-y experimentation. Along with pumpkin, I played around with several different kinds of Better Than Bouillon and ended up using two of them in my pasta recipe. If you haven’t used Better Than Bouillon before, it’s a flavorful paste concentrate equivalent to a bouillon cube or broth. You can use it to make a tasty stock, to create a marinade, or just to add a punch of flavor to any dish. Better Than Bouillon is extremely easy to dissolve, unlike bouillon cubes which can be gritty. I personally love to mix some of the Roasted Chicken flavor with hot water in a mug when I want a quick soup. I just slice some green onions to top it with and I’m all set! For this Pumpkin Pasta with Crispy Fried Sage and Pine Nuts recipe, you’ll need two Better Than Bouillon flavors: Roasted Chicken and Roasted Garlic. 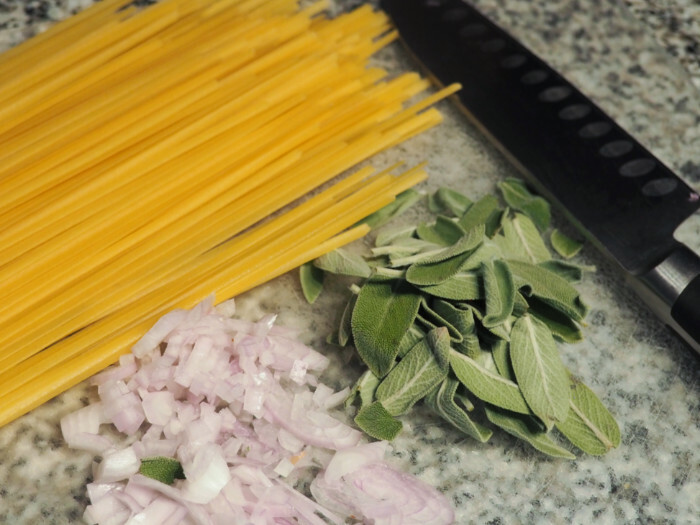 We’ll use one to add some extra flavor to our pasta water and one to pump up the garlic flavor in the sauce. Don’t forget: enter the giveaway at the very bottom of this post for a chance to win a $50 Visa gift card or Better Than Bouillon prize pack like the one in the picture above! The most complicated part of this recipe is frying up the sage—and even that’s not terribly tricky! If you can master that, everything else is a piece of cake. This pumpkin sauce is buttery, garlicky, decadent, and perfectly coats the pasta for a velvety mouthfeel. 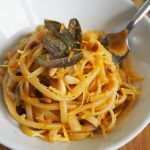 Once you toss the cooked pasta in the pumpkin sauce, garnish with toasted pine nuts, crispy fried sage, and some grated salty cheese (I used mimolette but you could use parmesan), and anyone you serve this to will be completely impressed! 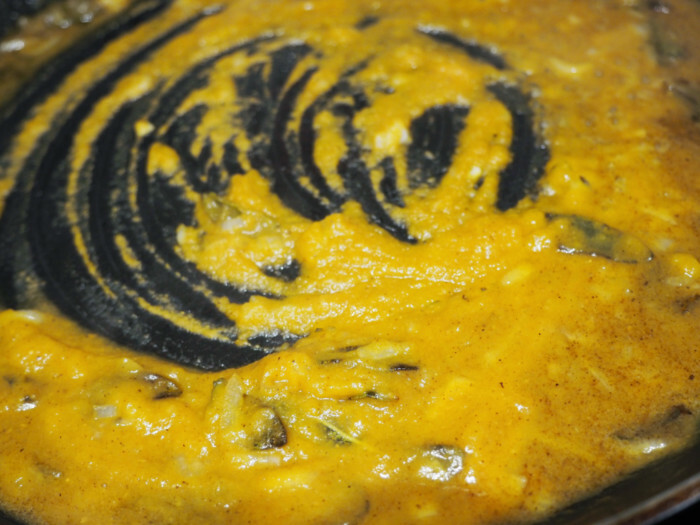 Don’t forget to pick up Better Than Bouillon before you make this recipe! 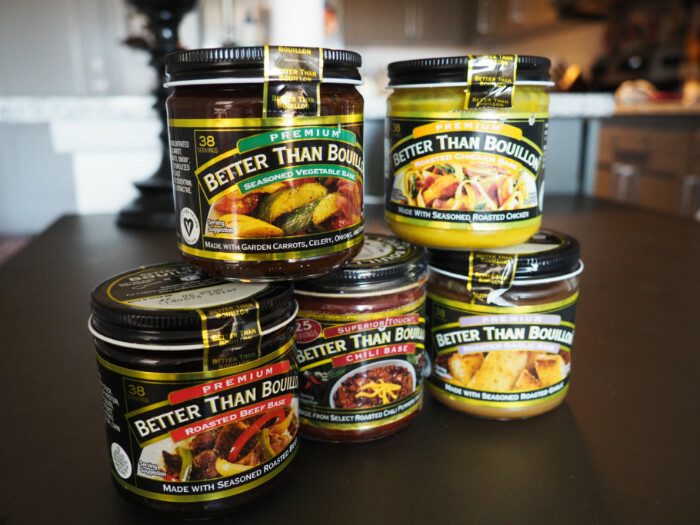 You can find Better Than Bouillon at most grocery stores—use the store locator on the Better Than Bouillon website to find a store near you. For a chance to win one of nine $50 Visa gift cards or a Better Than Bouillon prize pack including the Chicken, Vegetable, Chili, Beef, and Garlic flavors, enter below!